Spiritually refined aromatic oil from selected ethereal blends gives spiritual energy protection from negative energies and activates the divine aspects of love, joy and passion. It has multiple uses. 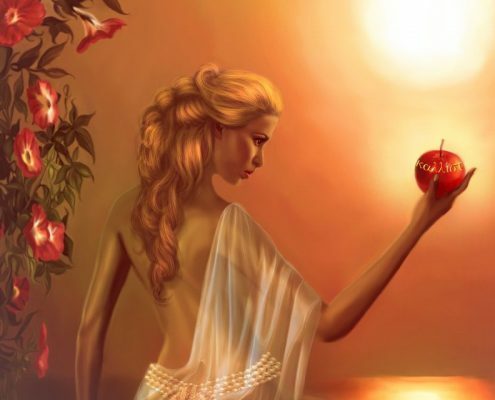 As a natural perfume – aphrodisiac: a few drops are applied to pulse points on the body. 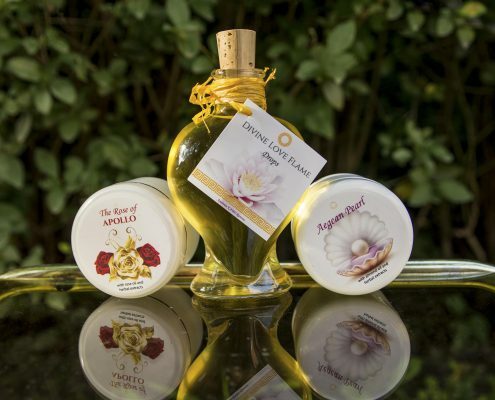 As massage oil – into the existing base massage oil you use add Divine Love Flame drops. On 2 deciliter of massage oil add 1 spoon of aromatic oil. As an energy refresher – add a few drops of oil in the burner lamp or add 3 drops of spiritually processed oil to the spray bottle at 2 dcl of water. 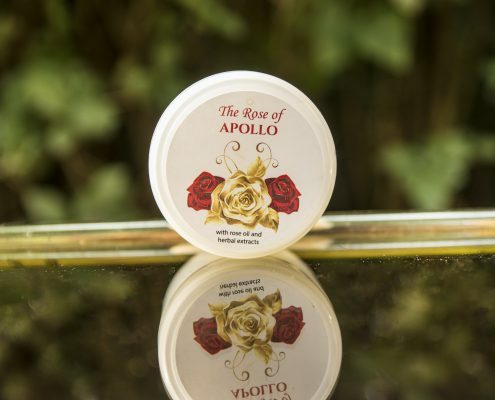 As a gift of the ancient god of beauty, this cream, with oil of rose and herbal extracts, has rich texture aimed for face and body care. 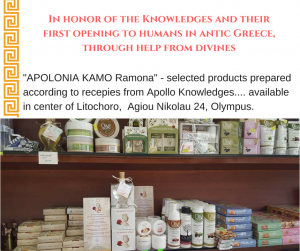 It is spiritually treated according to the ancient recipes from the Apollo temples. The beauty and aroma of this cream reminds of the long forgotten paradise gardens. 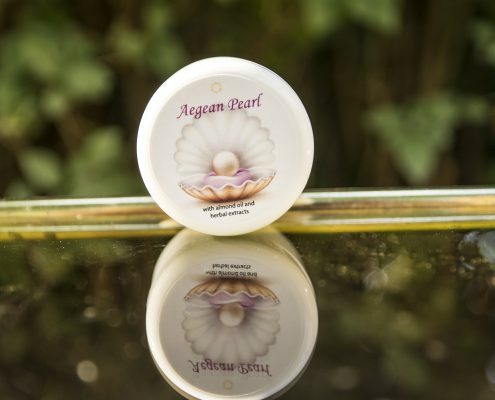 A vibration of the fragrance of the queen of flowers, they say, awakes beautiful feelings, contribute to emotional peace, positive thoughts of feeling of comfort, joy, hope… It is especially suitable for sensitive and problematic skin. 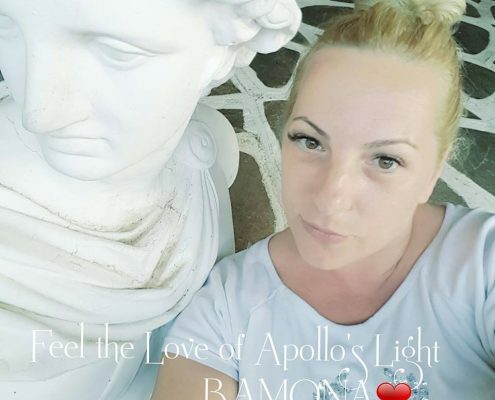 Face and body care cream, with almond oil and herbal extracts, is spiritually treated according to the ancient recipes from Apollo temples. Because of its characteristics, almonds oil is considered as a pearl in natural cosmetics. It helps regeneration of skin, reduces irritation and makes the skin shiny, healthy, gentle and nourished. Photos: Nevena Đorđević, divine herbs collection KAMO and Spiritual Cosmetics.